Finn the human and Jake the dog continue to have odd adventures in this strange post-apocalyptic world where anything can happen, and the first is a continuation of the last episode of season 3 where Jake meets Flame Princess. In this episode, he falls in love with her, but seeing as how she's pure fire any kind of physical contact is a tad difficult. It's quite a touching story. In the 7th episode, "They Went to the Nightosphere", Finn and Jake awake in a pile of bananas, in a giant cage, in some place that looks like hell which is called the Nightosphere and they have no memory of how they got there. Jake has the events recorded on his phone, but unfortunately the battery dies before they can watch it. 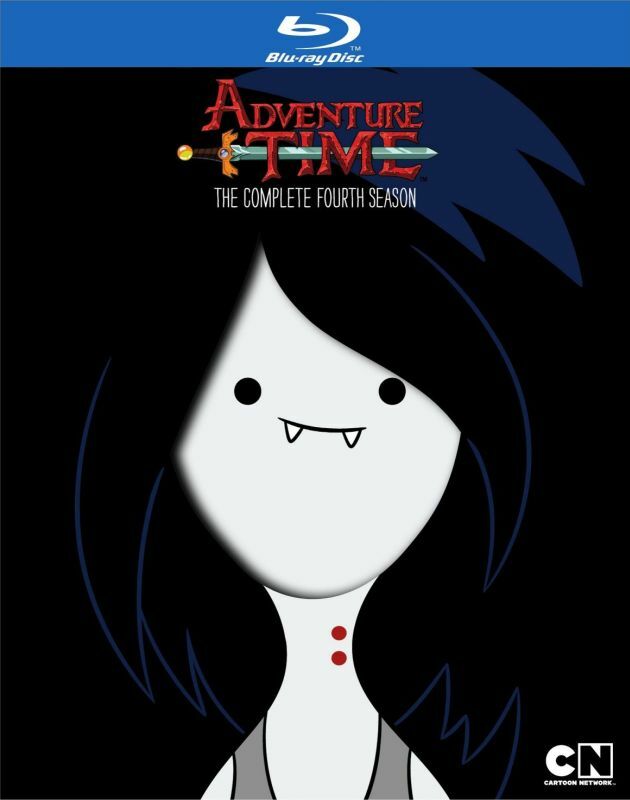 So they go on a quest to seek out the leader of the Nightosphere, who is also Marceline's father. It works great as a standalone episode, but then ends on a cliffhanger and is continued in the next episode "Daddy's Little Monster". Another great episode is "Gotcha!" where Lumpy Space Princess pretends to be Finn and Jake's adventure secretary so that she can seduce Jake... so that she can write a book about how she can seduce any man. And of course Finn and Jake are both completely oblivious. I think this is probably one of the most hilarious episodes. We see Flame Princess again in the episode titled "Burning Low", where it seems Princess Bubblegum is jealous of the affections Finn has for Flame Princess, but the truth is way more devastating!! Some episodes may be better than others, but don't worry as there isn't a single bad episode in this season. Extra features include audio commentaries for every episode and a featurette called Distant Bands: the Music of Adventure Time which, as you might suspect, delves into the music of the show. This is a good release which I wouldn't hesitate to pick up.